Try out a new spin on pasta salad with our Pizza Pasta Salad. Or is Pizza Pasta Salad a new spin on pizza? You be the judge; either way it's delicious! 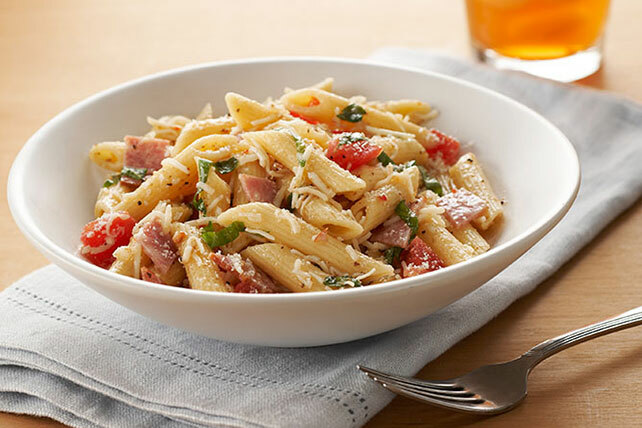 Prepare as directed with whole wheat penne pasta and KRAFT Lite Balsamic Vinaigrette Dressing. Substitute 3 oz. OSCAR MAYER Pepperoni for the salami. This delicious salad is also great served hot. Just toss the hot cooked pasta with the remaining ingredients, then serve.